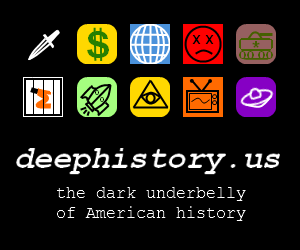 The Deep History Timeline is a free online education resource which greatly expands upon many of the topics covered in Fighting for G.O.D. Browse by decade or area of interest to uncover the hidden forces which have shaped modern America. 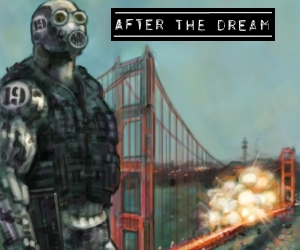 After the Dream is a free online graphic novel exploring an underworld conspiracy and the lives that it touches. Although the story is fictional, it touches upon real events including 9/11, human and drug trafficking, human experimentation, and more. Rated-R / recommended for mature readers. TrineDay is the publisher of Fighting for G.O.D. along with many other excellent books about Skull and Bones, the Bilderberg Group, and other important deep political topics. History Commons is one of the best sites on the Internet, period. It has a massive, well-documented research archive including the Complete 9/11 Timeline, and it was an invaluable resource in writing Fighting for G.O.D. TruthMove is an organization which focuses on a wide range of social issues stemming from the underlying reality of America's deep state. Architects and Engineers for 9/11 Truth is a coalition of over 2,000 professionals who have put their reputation on the line to speak out about the flaws in the official account of 9/11. Check out their site for some great, informative videos. 9/11 - Press for Truth is one of the most solid, well-documented videos about 9/11 there is. Everybody's Gotta Learn Sometime is another great 9/11 documentary. The production values aren't tremendous, but the information is solid and well-presented.